Nuno De Matos lives and works between France and Portugal. Nuno de Matos, aka Matox, has grown up at Saint-Céré, France, near the alelier of Jean Lurçat. He studied at the University of Toulouse, now he lives between Eus, in the French Catalonia and Lisbon. He draws since he was a child and paint since the 80s. 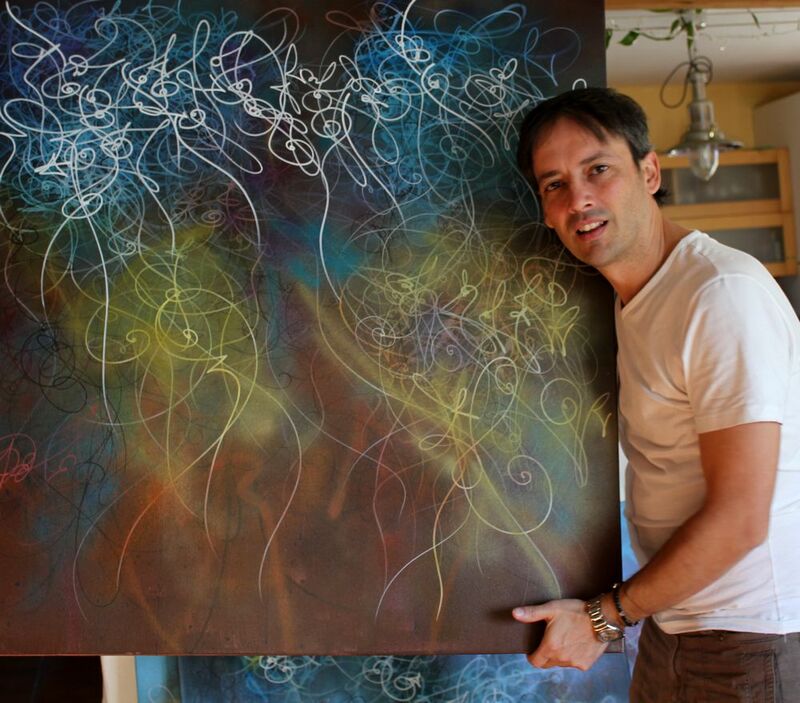 His paintings have evolutes from body diagrams to abstract expressive textured pieces. The basic line is the principal structure of his work. Urban art of the streets of the Bairo Alto of Lisbon and from the narrow streets of the Barri Gothic of Barcelona, arabesques, Islamic calligraphy, abstract writing, and Rock art from the of caves his Quercy’s roots have influenced his postgraffiti works. Bombing art with multispray layers and calligraphy are developped in abstract and expressionist “action paintings”. He realizes also “video skinning” for live performances with monumental video projections (on wide walls, buildings…). His work is showed in many projects, principally in the area of Post Graffiti events and multimedia installations all around the World.